What could be the criteria for choosing a web hosting for your next online project? How to choose, in other words, an efficient, cost-effective hosting, suitable for your needs and possibly expandable in the future? Here are 6 questions to answer, before you make a choice. 1. What Kind of Website Will You Host? First, you need to understand what kind of site you are about to put online. If it’s built with WordPress or Joomla, for example, or whether it’s been done in PHP or an unique solution developed on a contract. Having a clear idea will be useful when you buy your new hosting, so that you can communicate your specific needs without being vague or contradictory. Do you know what kind of site you will be hosting, or at least you know what you want to do? (E.g. “an eCommerce”). Perfect, keep it in mind and move on. Do you need a web hosting for your professional/business site or something related to a hobby or amateur activity? In the first case, the choice should fall on a good shared hosting or VPS (or even a dedicated server, like I have). In the second case, you can evaluate the possibility of using a free service (like WordPress.com or Blogger.com), even if you do not have any real property on your site. Consider everything you need, depending on your technical knowledge: cPanel, Plesk, ISPConfig, or ispCP. In particular, relevant resources to install a CMS in just a few clicks (such as Fantastico). 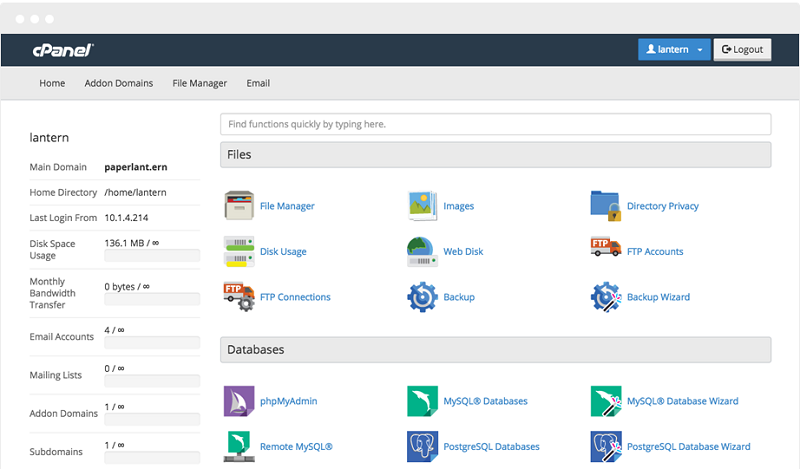 These tools give virtually everything you need to install your website without using FTP or PHPMyAdmin. If you are not an expert webmaster, make sure that your web hosting makes it easy to create a site without going crazy with technical manuals. It’s important to consider that the hosting service is not required to care for your site, but it only provides the hardware and software to put it online. Remember that becoming an experienced webmaster is a skill-seeking art. 4. Does The Web Hosting Offer This? Make sure your new hosting supports PHP version change, using the internal switch on the control panel, or that, at least, supports the latest stable version of PHP (PHP 7.2, or even even PHP 8, in future). Make sure your hosting provider provides a secure access via FTP, which seems to be implied, but in many cases it is not (in the case of free hosters, less than ever). Although it is not always necessary to have such a service, it may be useful to make a full backup of your site files (excluding database). Lastly, do you need a secure connection? If you want to open an eCommerce or you expect to offer paid services, you will need a https connection, and you can easily get it with a dedicated IP (not a dedicated server, which is a different and much more expensive one). 5. How Much Space Do You Need? Do not buy more resources if you do not understand what they are and if they are not strictly necessary. ​​Unless you’re creating a YouTube clone, you will rarely need more than 50 GB of web space. The most advanced CMS stores data in the database, so be careful about MySql accounts that seem too narrow. For safety, or in case of doubt, always seek an expert opinion before buying! 6. How Fast is the Hosting? Try pinging your hosting domain name (using tools like https://tools.pingdom.com or https://gtmetrix.com) and pay attention to the response, in terms of “ms“. Usually, 40-60 ms is a great value, with larger values ​​problems can occur (downtime, slowdowns, etc.). However, it is good to keep in mind that this type of test is always dependent on random factors, which can totally frustrate the correctness and utility for your purposes. for example, it is not said that the physical IP of yourhosting.com is the same as you will use for your site (though, in practice, for free services it is usually this way). Another factor to keep in mind is where the host is located: if your audience it’s mostly in the UK for example, would be useful to get an web host that has purpose-built UK data centers. Similarly for other Geographical locations. Try to be always aware of what you are buying, and do not be fooled by offers that are simply oversized for your needs. Ask the same questions at various hosting and compare the various responses, so you can approach the purchase as a critical and aware consumer. In most cases, unless you are using specific or advanced software solutions, what you need is simply a good shared hosting. Always prefer Linux hosting to a Windows, and this is not a trivial matter of “religion wars”, but for the fact that the first is safer and more stable, and has a wide range of open source software for all your needs (not always available in the second case). This obviously applies to all sites that work with PHP technology (WordPress, Magento, Drupal, Joomla). For example, if you need to run a site that works in ASP.NET, you will need Windows. You can never get the right web host without knowing what you need. So before you go any further – put everything aside and think thoroughly on your own needs. For newbies, the no-brainer rule is to always start small with a good shared hosting account. A shared hosting account is cheap, easy to maintain, and sufficient for most new sites. Plus, you can always upgrade to VPS or dedicated hosting in the later stage when your site grows bigger. Thanks for sharing your views and tweeting out the post, Kumar. I think one should also consider the facilities which we get to renewal the hosting once his subscription is finished. Automated renewal is always included, I think, Sagar.